Here's what the residents of Aalborg, Denmark know that the rest of us don't. Negative emotions of worry, stress, sadness, anger, and physical pain, are at an all-time high across the globe. But there are a small handful of people, who live a much less stressful and happier life than the rest of the world. What can we learn from the world’s happiest people on the secrets to happiness in life and work? Over the past 15 years, Dan Buettner—a National Geographic researcher and New York Times best-selling author—has been exploring the healthiest and happiest places in the world, to uncover the secrets of happiness and longevity. In his book, The Blue Zones of Happiness: Lessons From the World’s Happiest People(Audiobook), Buettner reveals his findings from visiting three of the world’s happiest places: Singapore, the Cartago region of Costa Rica and the city of Aalborg in Denmark. For example, in Denmark, Buettner discovered that Danes have ample time to find the right career for long term satisfaction, because higher education is free for citizens, and it takes the average university student approximately 6.6 years to graduate. 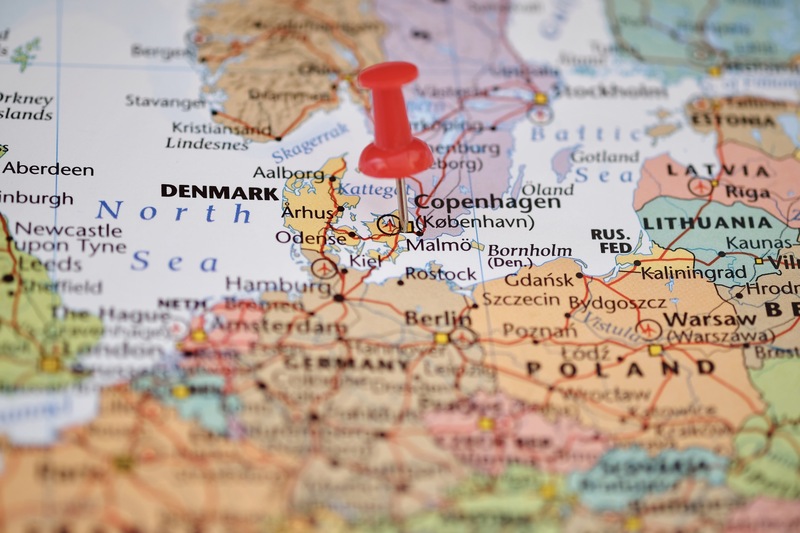 In addition, Danes work fewer hours—an average of 27.6 hours per week, compared to 34.4 in the U.S—and there’s no stigma to clocking off early to spend time with family, exercise or participate in club activities. The Danes also practice Hygge—the art of creating a nice atmosphere of relaxation and togetherness. It includes candlelit tables, family time, reading, playing games, and social interactions without electronic distractions. In Costa Rica, Buettner discovered that Costa Ricans live in close-knit communities and enjoy the pleasure of living daily life; people smile at each other, and interact with their friends and neighbors. They get together each day to watch sports and play music, gather for meals with their families on the weekend, and regularly practice their faith as Roman Catholics. On the other end of the earth in Singapore, Buettner discovered that most Singaporeans hold unto Confucian values, which favor the welfare of the group over that of the individual. They subscribe to ideals of social harmony including family honour, working hard and respecting elders. Whilst the people within each of these countries may seem to be worlds apart, Buettner discovered that they all share a common theme: financial security, a strong community and a sense of purpose. Here are 6 lessons from the world’s happiest people to help you live a happier and healthier life. According to Christakis, a social scientist and researcher at Yale University, your social network is the primary driver of your happiness and well-being. The implications of this is simple, but tough to swallow: minimise time spent with negative people and maximize time spent with positive people. Approximately one-third of the adult life is spent at work (and that excludes up to 400 days of commute time). Outside of working hours, the average person is strapped for time to spend with family, friends or on extracurricular activities. This means that the majority of your life is spent at work, and a significant amount of your happiness and well-being derives from it—especially from the quality of your relationship with work colleagues. If your job makes you unhappy, it’s likely that you don’t have a good relationship with your co-workers. By building a better relationship with your work colleagues, you can boost your happiness and well-being over the long run. A 2015 Gallup Sharecare study, showed that 9 out of 10 people with happy relationships tend to be financial stable, but the number of happy relationships drops to 6 out 10 when finances are unstable. Financial problems are a major cause of stress, and it negatively affects the level of happiness at all income levels. According to the study, people who manage their finances well are less likely to suffer depression, diabetes and obesity, than those who don’t. So, the best way to use finances to maximize your happiness, is to focus on financial security i.e. paying off credit cards, getting out of debt and saving money, instead of financial prosperity i.e. becoming a millionaire. The majority of people in the world commute by public transport and cars on a daily basis, even though it’s one of the main activities that robs us off our happiness on a daily basis. But the happiest people in the world opt for walking and cycling instead. For example, each day, approximately 50 percent of residents in Copenhagen, Denmark, cycle about 932,00 miles to and from work and school. Not only does this help them to stay healthy and save money, but it also alleviates the anxiety and stress that reduces happiness. You’re also more likely to connect with nature if you walk or cycle regularly, than commute by public transport or cars. In addition, Buettner suggests that people who live near water—a lake, river or ocean—are about 10 percent more likely to be happy than people who don’t. And regular interactions with nature increases our happiness. Arguably the most important factor that drives our happiness is community. Curate a small group of healthy, happy people who care about you and prioritize spending time with family and friends, for a happier life. Striving for something meaningful and greater than ourselves is a significant source of our sense of fulfillment and happiness. According to Richard Leider, a counselor and expert in purpose, your life’s purpose is the intersection of what your values are, what you like to do, what you’re good at, and what you have to give. Taking an inventory of these factors and asking yourself the most important question on purpose, will help you to find your life’s purpose. Likewise, random acts of kindness, giving your money away and volunteering your time to help others, are all effective ways to improve your well-being and happiness. By taking your focus away from yourself and towards others in need, you’ll experience more gratitude for what you already have, and live a happier life in the process. We spend the majority of our lives in autopilot mode, completely unaware of how the people who surround us on a daily basis and the locations we reside in, affect our well-being and happiness. But leaving these elements to chance tends to breed more discontentment and unhappiness. The truth is, the happiest people in the world are happy not because of their genetics, willpower or innate abilities, but because they live in an environment that is conducive to happiness. This is why conscious changes in behavior for happiness, like positive thinking, fail in the long run as standalone solutions—it’s much harder to stick to a habit if you have try hard each time. A better solution to long term happiness then, is to shape your environment by designing your social network and where you live, for optimal happiness. But it’s easier said than done: Are you willing to relocate from an unhappy place to a happier one, and cut out long-term negative relationships from your life? The answers to these questions will ultimately determine your future level of happiness. Mayo Oshin writes at MayoOshin.com, where he shares practical self-improvement ideas backed by proven science, philosophy and art, for better habits. To get these ideas to think and live better, you can join his free weekly newsletter here. 1. “World Happiness Report 2018,” edited by John F. Helliwell, Richard Layard and Jeffrey D. Sachs (2018). 2. James H Fowler, Nicholas A Christakis. Dynamic spread of happiness in a large social network: longitudinal analysis over 20 years in the Framingham Heart Study. British Medical Journal, December 4, 2008. 3. Hill et al (2010). Emotions as infectious diseases in a large social network: the SISa model. 4. Gallup report on best friends at work. 5. Kahneman and Deaton (2010). High income improves evaluation of life but not emotional well-being.